LJ from Weight Weenies shared this scoop with us. Thanks for that! "The Lightweight Ventoux wheels will now be produced with a 24 spoke rear wheel and a 20 spoke front. 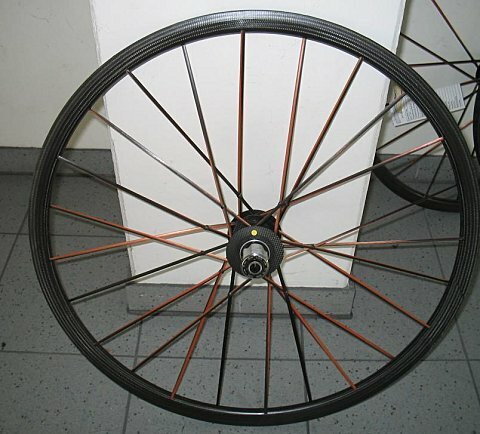 During the development and production the extra 4 spokes gave the rear wheel an added amount of stiffness which CarbonSports felt it needed in order to work in "real life". CarbonSports are also confident that the original claimed weights will still be met by way of a little "trick" in production. Of course they wouldn’t tell me what that was. Heres a view of the DT version of the rear wheel."